For more than 40 years tailor-made covers has been established making and fitting loose covers. 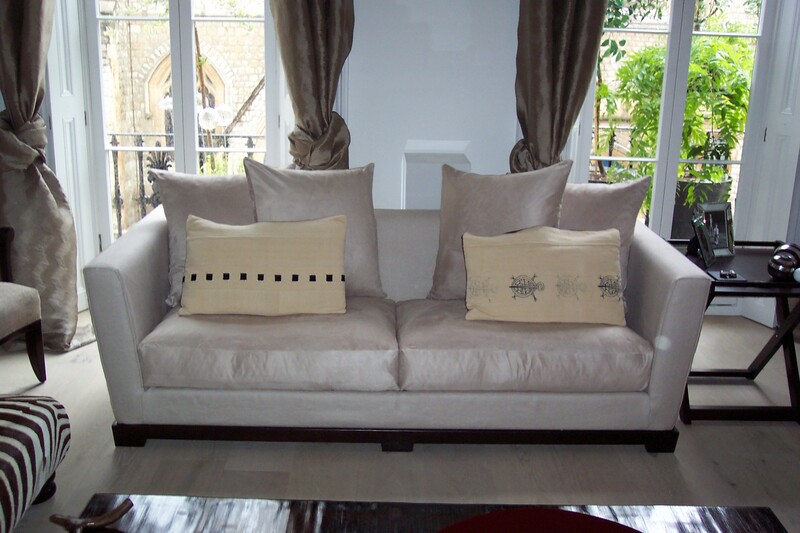 Managed and run by Chris, having many established clients, he also regularly works for interior designers and specialist shops and has undertaken work throughout the UK, and has travelled to the Hebrides, France, Spain, Malta, Switzerland, West Indies and the French West Indies, to work on clients projects. 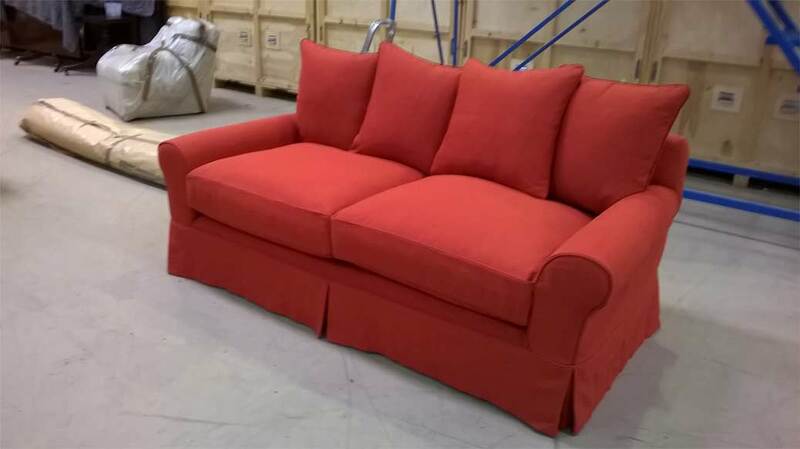 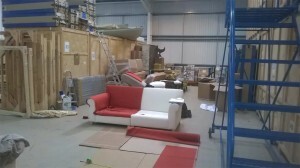 Preparing the furniture for loose covers, in a Heathrow shipping warehouse. 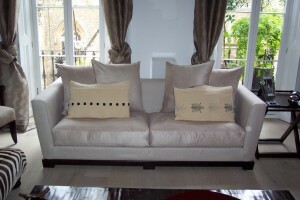 Completed sofa loose covers and scatter cushions, ready for shipping abroad.